Born on May 1, 1825 in Auchlunies, Kincardineshire, Scotland, Eleanor Gordon was the youngest daughter of Alexander Gordon of Ellon Castle, Aberdeenshire, a descendant of the Duke of Ancaster. She was was one of eight children raised in the Aberdeenshire hills above the River Dee and was fascinated by nature, which became a strong element in her artwork. Eleanor later moved to England where, in 1845, she married the Reverend Richard Cavendish Boyle, the son of the Earl of Cork, and later the chaplain to Queen Victoria. When Eleanor married Rev. Richard Cavendish Boyle in 1845, she moved to his parish in Somerset, England. Reverend Boyle was vicar of Marston Bigot, and two years later in 1847, Reverend Boyle became chaplain-in-ordinary to Queen Victoria, making him an honorary chaplain of the Queen. 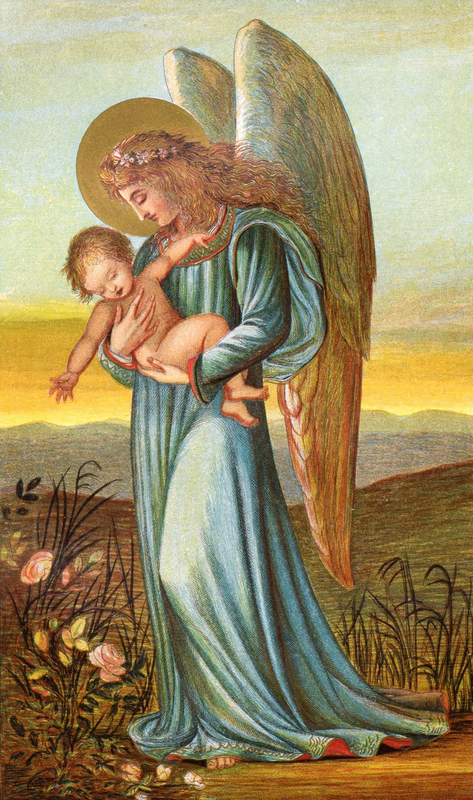 Eleanor and her husband had five children between 1846 and 1854, and it was after the birth of the first child that she began painting. Eleanor Vere Boyle took inspiration from the works of Albrecht Dürer, the Pre-Raphaelites, and John Ruskin, and was advised in her artistic skills by her cousin Louisa Anne Beresford, Sir William Boxall, Sir Charles Eastlake, and Thomas Landseer who taught her to etch. 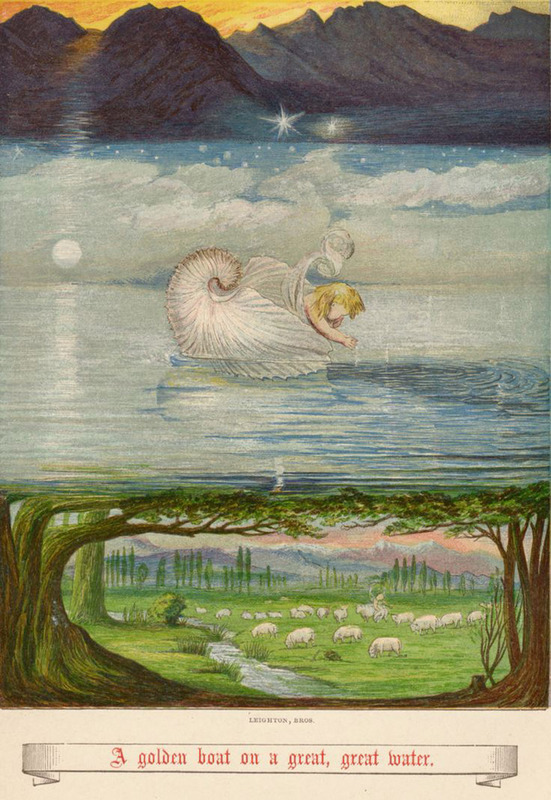 Beginning in 1851, Eleanor Vere Boyle, known professionally as E.V.B., published twenty-one books in a fifty year time span, including books and articles that she both wrote and illustrated. Her published works include Child’s Play (1852), A Children’s Summer (1853), Alfred, Lord Tennyson’s The May Queen (1861), Woodland Gossip (1864), A Dream Book (1870), Hans Christian Andersen’s Fairy Tales (1872), Beauty and the Beast (1877), A Book of Heavenly Birthdays (1894), A Garden of Pleasure (1895), and Peacock’s Pleasaunce (1908). 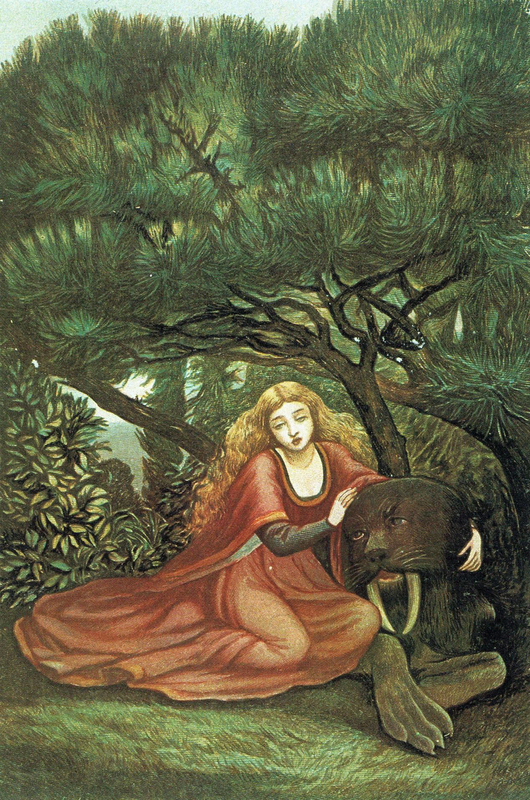 “All of these works were inspired by many things in which Eleanor was fascinated: nature, but also fate, dreams, and flowing water.” One of her most acclaimed works was her retelling of Beauty and the Beast which also included ten full color illustrations. 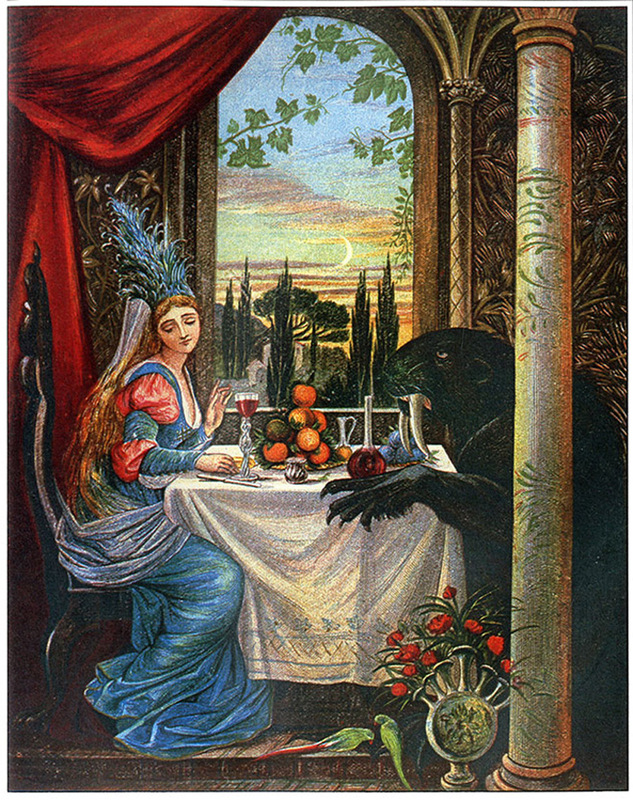 Though she received praise for her work on this volume as a whole, it was her unique depiction of the Beast as a walrus-like creature that garnered the most recognition. Differing greatly from the usual humanoid portrayal of “the Beast,” Eleanor created a true beastial figure without an upright position, humanistic facial features, or clothes. Her illustrations for Wilhelm Carové’s Story Without an End (translated into English by Sarah Austin, 1868) are also considered some of her most important works. Another notable creation by Eleanor Vere Boyle is Ros Rosarum Ex Horto Poetarum (1885), which translates to “Dew of the Ever-living Rose, Gathered from the Poets’ Gardens of Many Lands.” In this collection of writing, Eleanor wrote poetry and created illustrations to accompany her verse, alongside the writings of Tennyson, Bulwer-Lytton, and other poets. A few years later, a collection of Eleanor’s essays written about her favorite gardens, Seven Gardens and a Palace (1900), was published, and she presented a copy to her friend, Queen Alexandra. 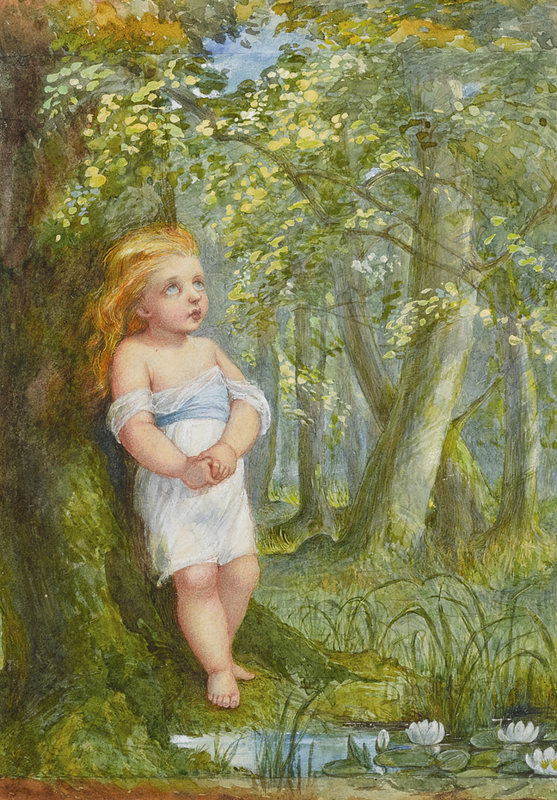 Eleanor’s watercolor illustrations were very characteristic of the Victorian era, as they most often featured children and fairies in an idealized setting. Similarities in style can be drawn between Eleanor’s work and that of Kate Greenaway, as well as with Richard ‘Dicky’ Doyle. 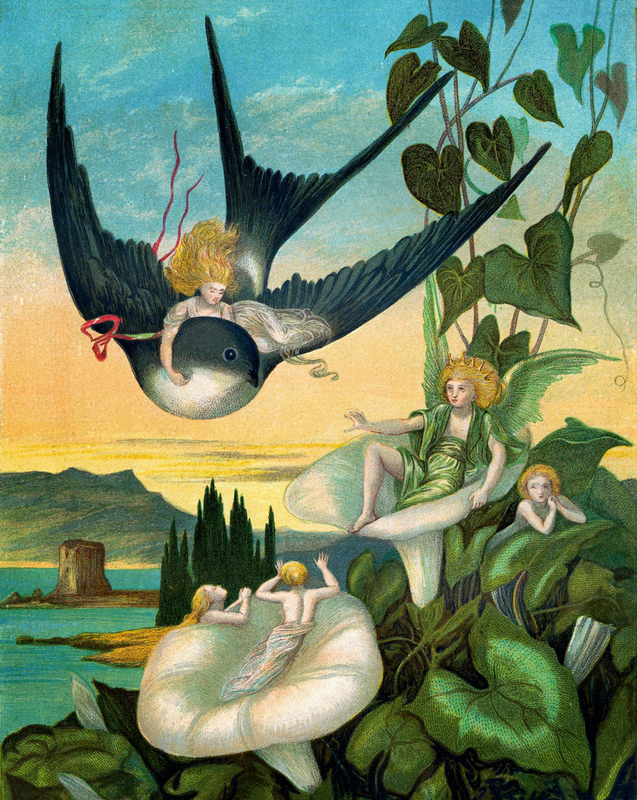 As Victorians adored the idylls of childhood and the fantastical idea of fairies, her work was popular, and in addition to being purchased in published books, was also exhibited at the Grosvenor and Dudley Galleries in London. The proceeds from the sales of her watercolors were used to provide fresh drinking water to the people of Lower Marston, as well as other charitable works in her husband’s parish. Eleanor Vere Boyle died in Brighton, England on July 29, 1916 and was buried in the churchyard at Marston Bigot. Jack Zipes, The Oxford Companion to Fairy Tales (Oxford: Oxford University Press, 2015). Charlotte Yeldham, “Boyle, Eleanor Vere (1825-1916),” Oxford Dictionary of National Biography, last modified 2004. http://www.oxforddnb.com/view/article/67551. Boyle, Eleanor Vere. Beauty and the Beast. An Old Tale New-Told, with pictures, by E.V.B. Sampson Low & Co.: London, 1875. Boyle, Eleanor Vere. Child's Play: Seventeen Drawings by E.V.B. Addey & Co.: London, 1852. Boyle, Eleanor Vere. A New Child's-Play. Sampson Low, Marston, Searle, and Rivington: London, 1877. Boyle, Eleanor Vere. Seven Gardens and a Palace. John Lane: London, 1900. Dalziel, George. The Brothers Dalziel; a Record of Fifty Years’ Work in Conjunction with Many of the Most Distinguished Artists of the Period, 1840-1890. London: Methuen, 1901. Ovenden, Graham. 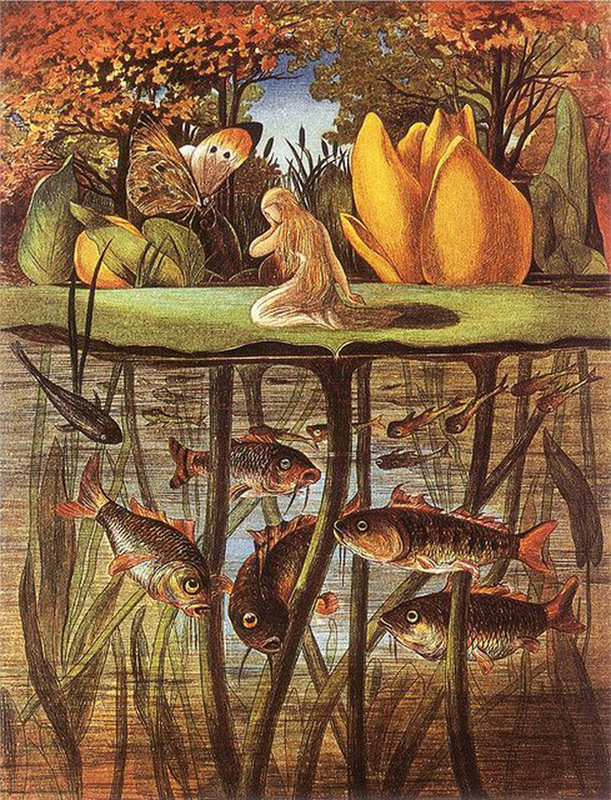 Nymphets & Fairies: Three Victorian Children’s Illustrators. New York: St. Martin’s, 1976. Yeldham, Charlotte, ‘Boyle, Eleanor Vere (1825–1916),’ Oxford Dictionary of National Biography. Oxford, England: Oxford University Press, 2004. Zipes, Jack, ed. The Oxford Companion to Fairy Tales. Oxford, England: Oxford University Press, 2015.